Simple is a brand I've started to use little bits of here and there. I absolutely adore their Kind To Eyes Eye Makeup Remover Water because it's so gentle on the eyes and doesn't drive my sensitive eyes up the wall. I don't like anything oily for my eyes so I stay away from products like that. When I seen this Simple Kind To Eyes Eye Makeup Remover Cream I decided to give it a try, and I definitely had high hopes for it considering how much I loved the other one. I don't know what it is about this, maybe because it's a cream but I honestly cannot take to this at all. I just don't find it removes eye makeup as good as the micellar water version. When I use this I still have traces of mascara left on my lashes and find it leaves my eyes a little more sensitive than usual. I am going to try and continue using it to see if I adjust to it but at the moment I wouldn't re-purchase this again. 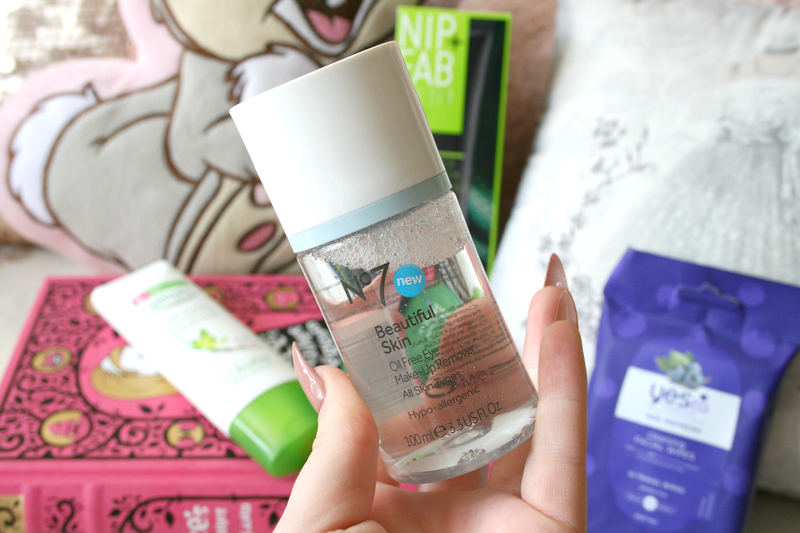 Say hello to my newest favourite eye makeup remover thats just bloomin fab! The No7 Beautiful Skin Oil Free Eye Makeup Remover has swiftly kicked my much beloved Simple Eye Micellar Water off the shelf and this has taken it's place. I am literally so in love with this product I can't get over how brilliant it is. So this comes in an Oil version or an Oil free version which is the one I chose because of my strange fear of oily products near my eyes. This removes the most waterproof makeup I own in seconds, it just melts it as if the products weren't even waterproof. Since getting this I've basically used it almost everyday and as soon as payday arrives I'm stocking up on about 10 bottles because thats how magical this stuff is. It's €12.00 but Boots are giving out No7 Voupons at the moment meaning you get €6.50 off it and its such a great offer! This one is also great if you have false lashes on as it won't disturb the glue at all so its perfect for those of you with mink lashes! Seriously though, if you try one new thing next month, let it be this product! Can you tell I was really into eye makeup remover products this month? 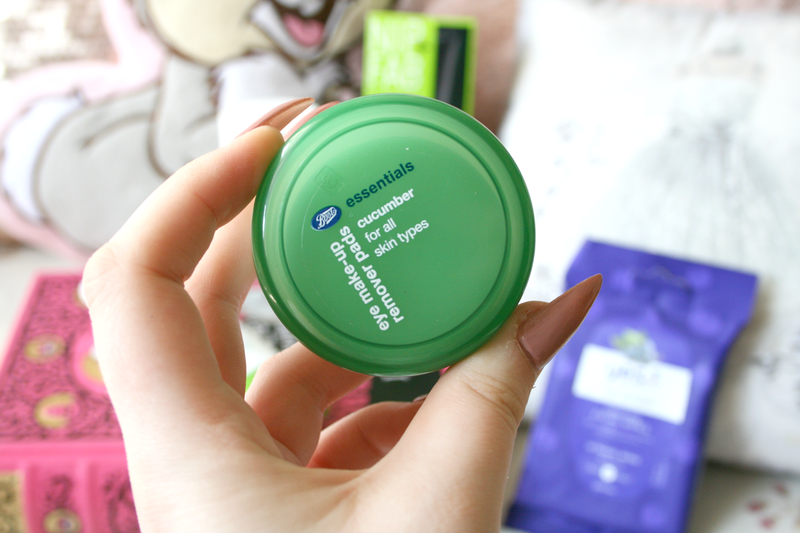 Moving onto the Boots Essentials Eye Makeup Remover Pads, now I'm going to be honest I had absolutely no interest in trying these before however if I bought a Boots Essentials product I was going to get 100 points and I'm all about those points so I picked these up in the Cucumber range. When I picked them up skincare was actually on 3 for 2 so they ended up not even costing me anything so I basically got €1 from Boots for picking these up (thanks Boots!). Now I'm not too sure what I was expecting with these to be honest, I guess I was expecting them to be already soaked in some sort of micellar water product, so I took one straight to my eye and boy was that a mistake. They're oily, greasy, slimy and everything I hate towards an eye makeup remover product. Of course I had a little panic to myself after swirling one around my eye without a thought but then through gritted teeth resumed to do so to see how well they worked. Honestly their not the greatest thing I've tried their not even great in my opinion, besides the gross oily feel to them I just don't find they remove waterproof products very well and you'd probably have to use a few on each eye to remove everything. Definitely something I'll never pick up again, free or not! Serums are not something I've used a lot of before. Ive tried the odd one or two throughout the past 2 years but never really continued using them. After getting the Nip + Fab Viper Venom Wrinkle Fix Serum I decided to actually make myself add it to my skincare regime each night. 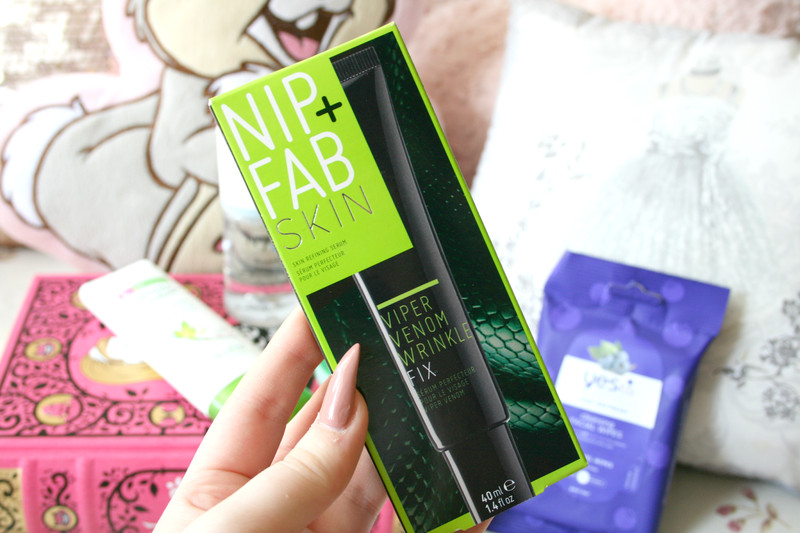 Now I'm still relatively new to Nip + Fab products, I've only ever tried the Dragons Blood Cleansing Pads and wasn't really impressed with them (post here) so I didn't know if I was excited about this or if it was just adding another 5 minutes to my skincare routine. The serum itself is quite thick and a little really goes along way. While this is targeted for Wrinkles which I don't suffer with yet it does give your skin that healthy plump fresh look. However I will admit its more of a pain at the moment than its worth. I will probably more than likely finish this and go back to not using serums, they just don't seem to be for me. 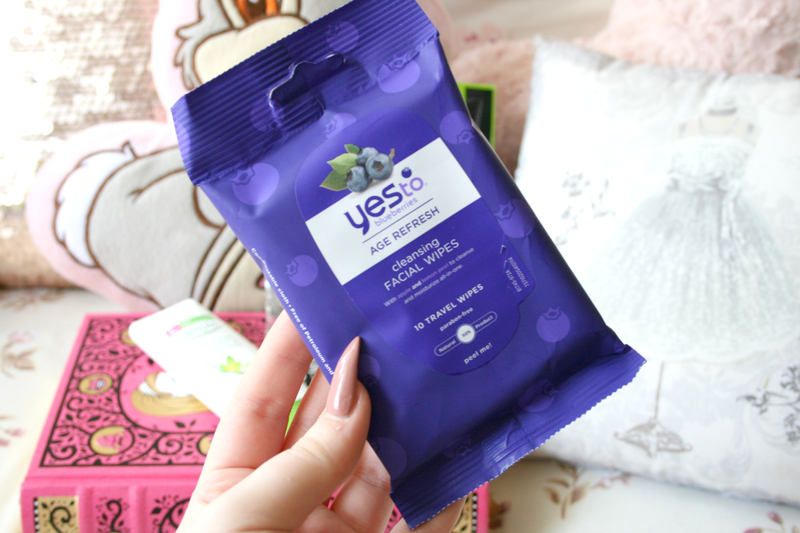 Finally the Yes To Blueberries Cleansing Facial Wipes. Okay let me start by saying I'm not a wipes kind of person, yes their fast and remove your makeup quick but they don't agree with my skin and it punishes me for using them. However I picked up these wipes to give them a try and I god darn love them! One wipe contains so much product that I can remove my full face of makeup and their will be still enough product left on the wipe to remove more! 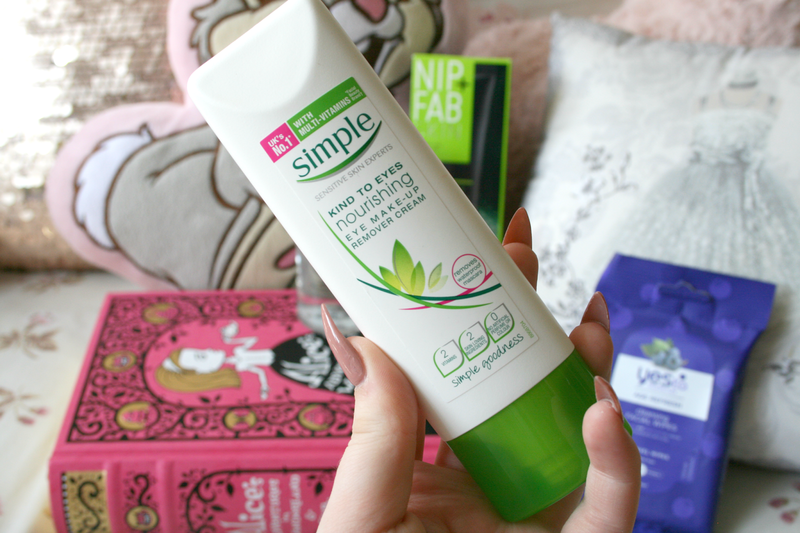 What I also really like about these is their very gentle and moisturising to the skin, meaning they don't irritate my already sensitive skin and my skin gets along with them so it doesn't punish me by breaking out in spots left, right and centre! So for those lazy days I will definitely be stocking up on a few packets of these! 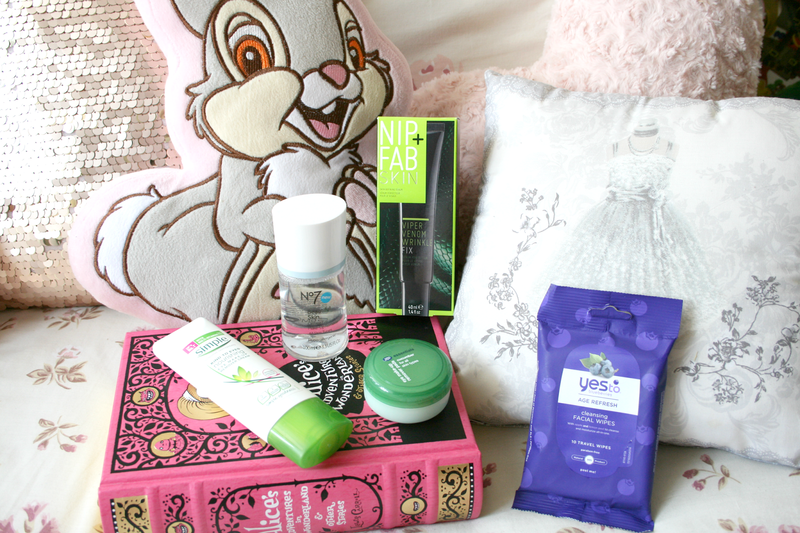 I wanna try the Yes To brand everything look great and smell amazing! Really need to get a simple moisturizer.